Raxxess Pin Torx Security Screws PNTX-50 offer a novel and way to additionally secure your equipment. The screws feature a black, oxide, pan head that requires a special screwdriver, making removal of the screws (and equipment) impossible for those without such a device. The screws are 10-32" x .75" and come complete with washers. This unit features 50 screws. When security is vital add these security screws to your rack, making removal of equipment difficult to impossible. Security Screws is rated 5.0 out of 5 by 2. 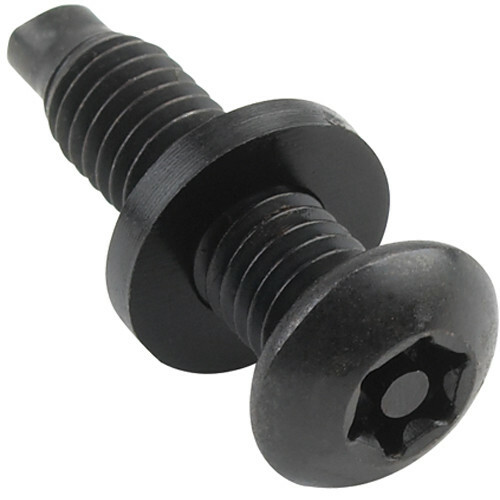 Rated 5 out of 5 by p9699 from Excellent security screws! Excellent security screw; would make it much more difficult for a thief to steal your hardware; easy to screw/unscrew with supplied bit. Rated 5 out of 5 by Anonymous from It's a Security Screw Not much to say....it's a security screw.